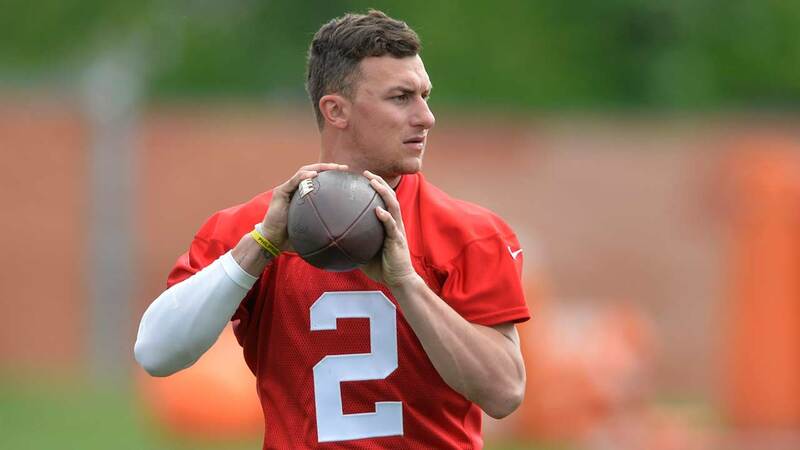 DALLAS -- Dallas police said Thursday they have referred their domestic violence case against Johnny Manziel to a grand jury, which will consider whether to charge the troubled Cleveland Browns quarterback on allegations that he attacked his ex-girlfriend. Police released a statement saying they have asked the Dallas County District Attorney's Office to present a misdemeanor domestic violence case to the local grand jury. Such a charge carries a maximum punishment of one year in jail and a $4,000 fine. Crowley requested and was granted a protective order against the 23-year-old quarterback that prevents him from seeing her for two years. The order also requires Manziel to stay at least 500 feet from her home and place of work, and that he pay $12,000 in legal fees. Crowley alleged she and Manziel had a confrontation in a Dallas hotel room, which eventually continued downstairs to the valet station. She said he forced her into a car and a valet disregarded her pleas for help. The two eventually drove to where her car was parked in front of a Dallas bar, she said in an affidavit. She accused Manziel of getting into the driver's seat and beginning to drive her. Manziel was cleared of any wrongdoing last year after he and Crowley got into a heated roadside argument near the player's home. Witnesses to that incident saw Manziel arguing on the side of a highway with his girlfriend and pulling her back into his car as she tried to leave the vehicle. He was not arrested and Crowley told police she didn't want to press charges.